GPS Real Estate offers you traditional local real estate services without the restrictions of any particular suburb. We offer a national presence for listing and selling new and old properties including residential units, villas, townhouses, houses, undeveloped land and acreages. We focus on owner-occupiers upgrading or downgrading their homes and investors selling or purchasing properties. We incorporate proven and professional state of the art marketing strategies which are both online and offline. GPS Real Estate maintains full-time well trained real estate professionals with a combined experience of over 30 years. They continually strive to provide top quality service to meet the needs of every individual client. GPS Real Estate is a creative, innovative and people-oriented organisation providing sellers and buyers real results. GPS Real Estate always endeavours to make the buying and selling of real estate as cost effective as possible. 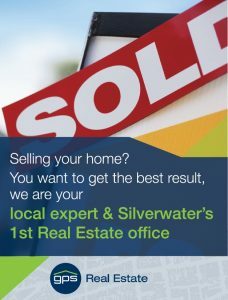 We provide the highest level of service with accurate and up to date information, skilled analysis and sound real estate advice. We continually explore new ideas and technology with the aim of making all real estate transactions a profitable real estate experience and not just a sale or purchase. We are committed to helping buyers and sellers get the very best price, terms and conditions possible. We believe that the client deserves the best advice and transparent communication with their real estate agent. Working with GPS will be a rewarding experience as you will have a dedicated professional on your side. The team at GPS Real Estate look forward to further assisting you with your residential real estate needs. Please fill in the form to get a free quote for selling your residential property.